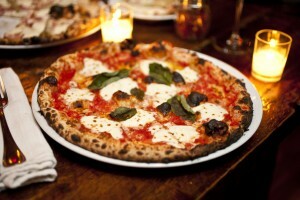 Pizzeria Antica is an Authentic Neapolitan Pizza Restaurant in the heart of Downtown Champaign. We strive to perfect the art of pizza as practiced in the City of Naples and the Campania Region of Italy. Our pizza is made in accordance to the rules and regulation of the Associazione Verace Pizza Napoletana (AVPN), an organization founded by pizza makers of Naples to promote and protect the True Neapolitan Pizza, “Verace Pizza Napoletana” (VPN). We start with the world’s best pizza flour, Antimo Caputo’s Tipo 00. We add only the freshest, non processed ingredients found locally or imported from the Campania Region including San Marzano tomatoes grown on the foothills of Mt. Vesuvius. The cheeses we use are Bufala from Campania and Fior di Latte from Grände Cheese in Wisconsin, and our Parmesan is Reggiano. 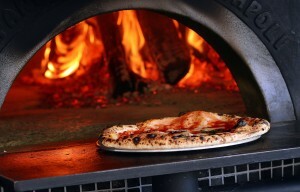 Our artisan meats are the best available in the U.S. We Cook the pizza in the world’s finest wood fired, hand built Stefano-Ferrara ovens, imported from Naples. Combine our pizza with Italian wines, beer, Antipasti, salads, gelato, and espresso and you have a complete Neapolitan experience. Weekdays we serve lunch from 11am until 3pm and dinner from 5pm to 10pm. Weekends we serve from 11am to 10pm or we run out of dough, whichever comes first.